RIO DE JANEIRO -- Olympic leaders approved the addition of five sports to the program of the 2020 Tokyo Olympics on Wednesday, including the return of baseball-softball and the introduction of youth-oriented events such as skateboarding and surfing. International Olympic Committee members voted unanimously to accept the five-sport package, which also includes karate and sport climbing. The five were put forward for inclusion last year by Tokyo organizers, taking advantage of new IOC rules that allow host cities to propose the inclusion of additional sports for their own games. Wednesday's approval was for the Tokyo Games only. While baseball and softball -- both highly popular in Japan -- will be returning after a 12-year absence, the other sports will be making their Olympic debuts. "Taken together, the five sports are an innovative combination of established and emerging, youth-focused events that are popular in Japan and will add to the legacy of the Tokyo Games," IOC President Thomas Bach said. 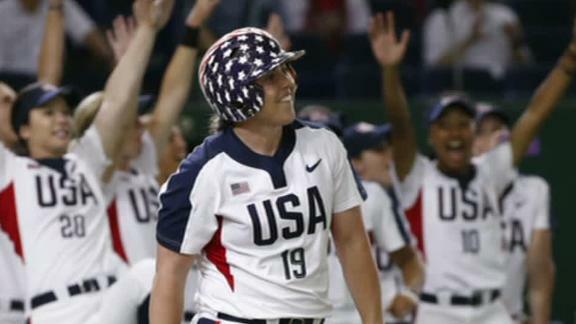 Baseball and softball have been off the Olympic program since the 2008 Beijing Games. The two were rejected in separate bids to return for the 2016 Rio de Janeiro Olympics, so they combined forces to put forward a single bid for inclusion in Tokyo. Men's baseball was a full part of the Olympic program from 1992 to 2008, with women's softball joining in 1996. The IOC voted them both out in 2005. Baseball will have a six-team tournament, short of the eight-team format sought by officials from the sport's international federation. Women's softball will also have six teams. The games will be played at a shared venue In Yokohama. "Today's historic decision by the IOC is a `home run' for the Olympics, our sport and the Tokyo 2020 Games," said Riccardo Fraccari, president of the World Baseball Softball Confederation. "It will be the most covered and most exciting international baseball/softball tournaments in history, which will help build our case to be featured in future Olympic Games, as well." Major League Baseball commissioner Rob Manfred also welcomed the IOC vote. "Baseball and softball are global sports that belong in the Olympics," he said, adding that their approval "will allow fans throughout the world to again enjoy baseball and softball on the Olympic stage." "Their hearts were broken that they weren't allowed to participate for their country at the Olympics in the sport that they had a passion for," he said. "Now, that's back. In 2020, it's our job as ambassadors of the sport to put on a great show in Tokyo." If not, Carraro said, said it will be "difficult for baseball to be included in the future" beyond the Tokyo Games. Fraccari said talks with MLB are "very open and going in a very good way." "Our goal is not to appear one time but to be permanently in the program," he said. "The goal is to have the best players possible." Skateboarding will have street and park events, and feature 80 athletes -- 40 men and 40 women. In climbing, 40 competitors will take part in the disciplines of speed, bouldering and lead (also known as sport). Karate will have 80 athletes competing in men's and women's Kumite and Kata events, while surfing will have two shortboard events for 40 competitors. "Our Olympic dream has now become a reality," International Surfing Association president Fernando Aguerre said. "This is a game-changing moment for surfing. With its unique and modern blend of sport performance, style and youth culture, surfing will help deliver something special to the games." Skateboarding and sports climbing events will be held in temporary venues in urban settings in Tokyo, while karate will be contested at the Nippon Budokan in the capital. Organizers hope skateboarding will catch on with worldwide viewers as halfpipe in snowboarding did in the Winter Olympics. "I've always believed that if skateboarding was properly protected and supported, its appearance on the Olympic stage could change the world," International Skateboarding Federation president Gary Ream said. Skateboarding's approval came despite tensions between rival federations. For the Olympics, a special "Tokyo 2020 skateboarding commission" was formed to run the sport. It is a collaboration between the International Roller Sports Federation (FIRS) and the ISF. A lawsuit was filed last week in California by the World Skateboarding Federation (WSF). It alleged the ISF abruptly canceled scheduled drug testing at an event last year because of fears that several riders would test positive. The lawsuit also alleged that Ream struck up a friendly relationship with Christophe Dubi, the IOC Olympic Games executive director, and provided Dubi's son with free training at a skateboarding camp he owned.